Kazoora (in black T-shirt) hosting guests at his new bar. From your television screens to behind the scenes, most generations are familiar with the name J Kazoora. 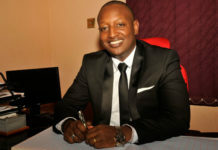 At a time when social media was barely heard of, the now defunct WBS TV was the popular entertainment news gateway and David Kazoora was the go-to guy for the latest gossip and music on his show, Jam Agenda. Kazoora would later venture into the bar business with Buddies, a middle-class bar located along the Naalya-Kiwatule road – a spot that featured prominently in the lives of uptown holidaymakers. 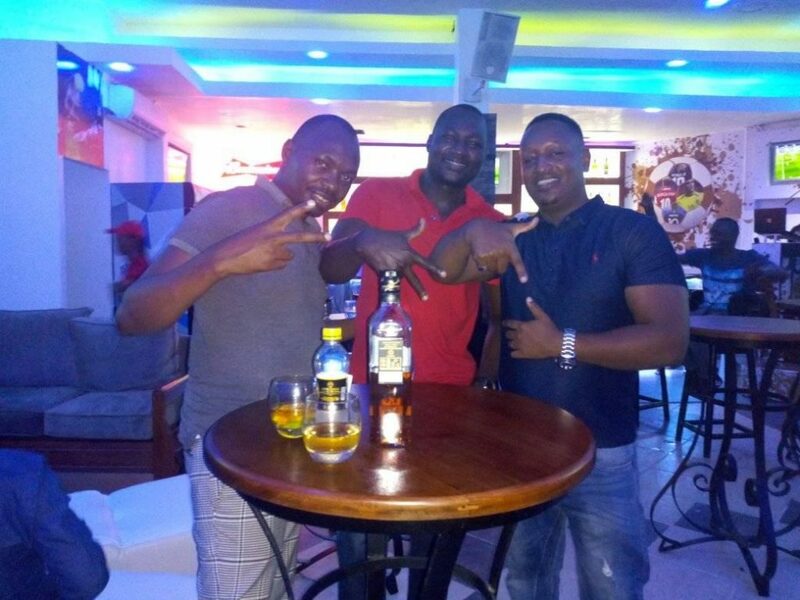 Things later got tight and media veteran was forced to close Buddies Bar to concentrate on TV production and management of Magic HD – a sister TV of UBC. Last year was even tighter as the veteran events MC had to stint in jail over a Shs54m loan. However, 2019 is not passing him by! The veteran has bounced back with a new bar called Sevens Sports Lounge – a 3D live non-stop sporting action home. Kazoora’s bar located in the Industrial Area next to Club Guvnor has a spacious interior, luxury furniture, cozy lighting and what could be the best customer care in town. Check it out.